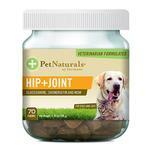 Pet Naturals® Hip + Joint provides the essential building blocks for healthy joints and is a unique joint care alternative for both dogs and cats. 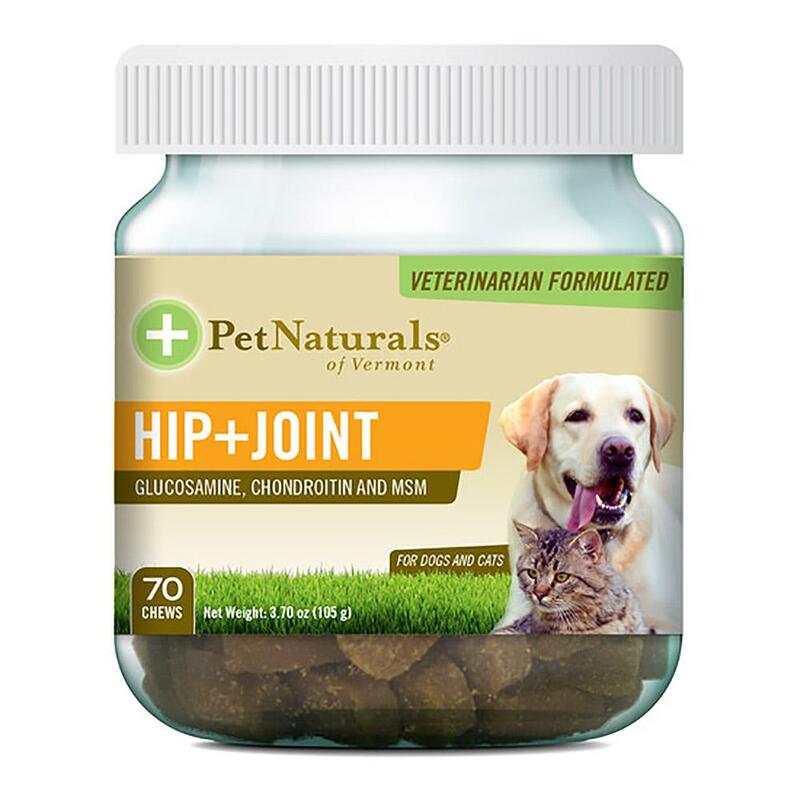 Pet Naturals of Vermont's Hip + Joint Chews for Dogs and Cats offers an easy and effective alternative for supporting joint health in your pets. With recognized joint support ingredients like glucosamine and chondroitin and the inclusion of Perna canaliculis a whole food mussel, Hip and Joint for dogs and cats is the perfect solution for a multi pet household. Formulated by veterinarians, this supplement is designed for cats and dogs that are showing signs of aging and discomfort in their daily activities. Directions for Use: Cats: Give 1 chew daily. Up to 15 lbs: 1 chew daily. 15 ? 45 lbs: 2 chews daily. 45 ? 75 lbs: 3 chews daily. Over 75 lbs: 4 chews daily. For extra support, double the dose for the first 4 weeks. If giving more than 1 chew daily, divide between AM and PM. CAUTION: Safe use in pregnant animals or animals intended for breeding has not been proven. 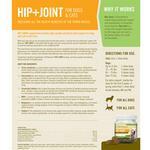 If lameness worsens, discontinue use and contact your veterinarian. Store in a cool, dry place. For use in dogs and cats only.